Saving for college is a huge challenge. It costs a lot of money for those four years of school. While there are a number of ways to reduce the cost of higher education, you may not know about the 529 money saving plan. Though it’s meant to be an option for everyone, the details can get a bit tricky. In this article, we’ll break down the two types of 529 plans and compare their pros and cons so you can make an educated decision. What Is a 529 Money Saving Plan? Using a 529 for college savings is actually pretty common, even though a lot of people have never heard of these plans before. Before we get started on the details, however, let’s take a moment to make sure we’re all on the same page about the definition. A 529 plan (also known as “a qualified tuition plan”) is an investment vehicle sponsored by states, state agencies, and colleges/universities that are designed to help people set aside money to pay for their degrees. The major benefit of a 529 plan is that it’s tax-advantaged under Section 529 of the Internal Revenue Code. We’ll talk about that a bit more in a moment. For now, just know that they work much like any other kind of investment vehicle except that they get preferential treatment from the IRS. There are two types of these money saving plans. Most states offer both. However, in some, only private universities and colleges sponsor the prepaid versions. Just like the name suggests, prepaid 529 money saving plans let people pay for their education – or at least part of it – upfront. Schools can actually offer these types directly to potential students. The other option is a college savings plan. This allows the account holder to pay for the tuition of a beneficiary (the student, often the account holder’s child) through several different investment methods. These college saving plans then invest that money. The beneficiary gets to use the total toward their tuition. With this definition in mind, let’s now take a look at the pros and cons of both to help you with your decision. Prepaid 529 college savings have the advantage of allowing the student to lock in a certain price for their tuition. As you probably know, the price of college keeps increasing. Unfortunately, this growth is outpacing many forms of financial aid. Therefore, it makes sense that many people decide to use prepaid 529 money saving plans to pay for their tuition before that price goes up even further. However, these plans generally don’t cover room and board. 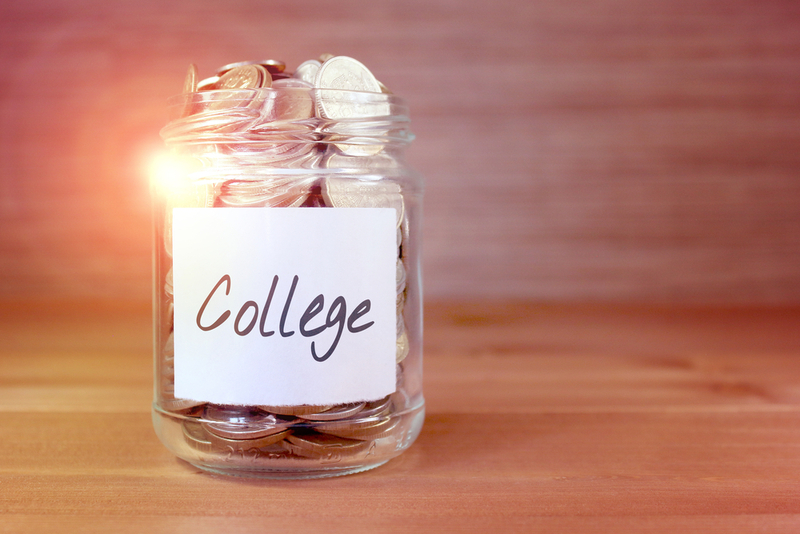 There are exceptions, but you’ll need to take this into consideration when setting aside money for college. Most will also have age limits for the beneficiary and a residency requirement for the future student. There will also be limited enrollment periods based on the state. Again, exceptions apply, but these generalities hold for most prepaid 529 money saving plans. You’ll still want to do your research, though, just to make sure you know how your specific plan works. As there is no lock-in fee, the plans in your state will most likely have an upper limit that your investment cannot exceed. This is usually $200,000. Fortunately, even though we mentioned that tuition prices are increasing, that’s still a very large sum of money. At the same time, like any form of investment, your 529 college savings are subject to risk. There’s absolutely no guarantee that your funds will provide a return. They could even decline in value. Some plans help with this, but you’ll still be taking on a certain amount of risk. Another big difference is that there’s no residency requirement for 529 college plans. Students and account holders can be from anywhere in the US. You may be limited to only certain types of plans, though. Enrollment for 529 college plans is also open all year. As we mentioned earlier, 529 college savings are sponsored by the government, so it should come as no surprise that they are treated differently when it comes to taxes. The federal government will not tax your 529 plan and the same goes for the majority of states. That being said, if you decide to make any withdrawals from your 529 plan that aren’t for authorized expenses, you will usually be subject to a 10% federal tax penalty. While scholarships are always a great way to reduce the cost of college, most students are going to need a plan for paying for the majority of their college education. A 529 money saving plan could be the perfect vehicle for you, but we understand that you may still have some more questions. Contact Mooney Lyons today and we’ll happily discuss your college plans – or that of your child’s – to ensure you understand all your options, what they entail and which one we feel will be best for your situation.